Emma Parkins has been a freelance artist since 1997, firstly as a commercial illustrator and then working as a community visual artist for over 10yrs. The environment is an important factor her work and she tries to source all her materials as sustainably as possible. 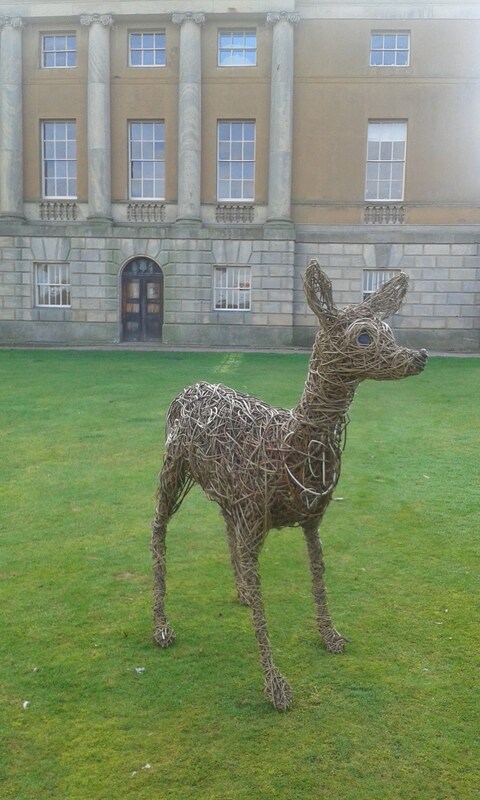 The art of Willow weaving and Sculpture is Emma’s specialism. It fits in well with her ethos and she finds it very therapeutic and grounding to work with. She draws on her years of experience as an illustrator to inspire her sculptures, creating willow animals and creatures that have character and charm, making her style unique. Please take the time to explore this site. 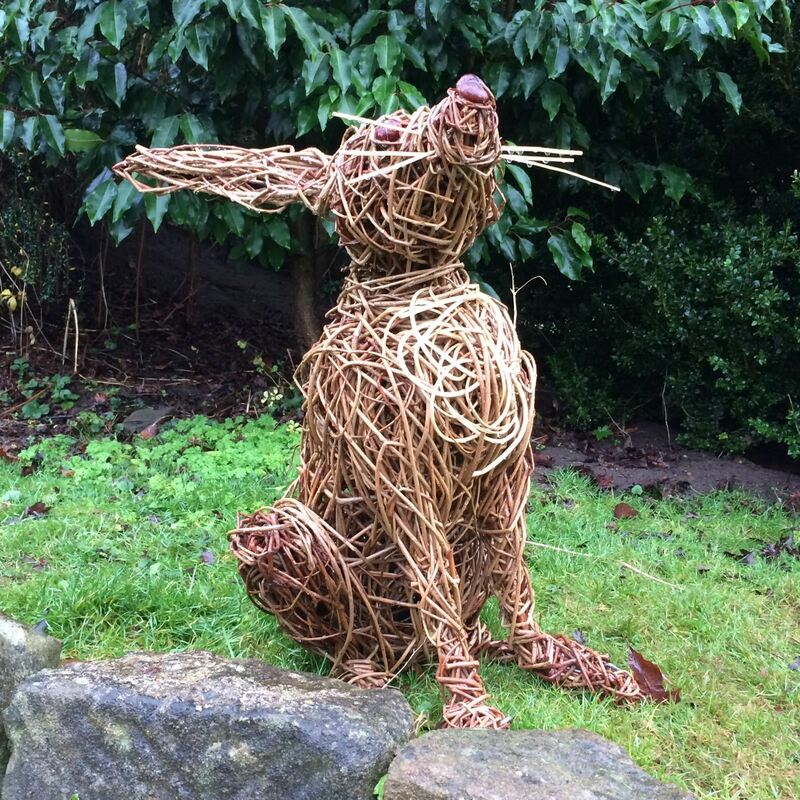 You can find out how commission Emma for your own unique piece of willow art, how to join her on one of her willow weaving workshops, or where to see her sculptures. Enjoy! I live with my husband, 2 fantastic daughters, a cat and two pet rabbits in the beautiful Derbyshire town of Belper. We try to lead a holistic lifestyle and I am passionate about green issues and the environment which is evident in my work. I graduated from Derby Uni in 1995 where I studied Graphic Design. This was followed by a Masters in Visual Communication. I have been freelancing as an artist and illustrator since 1997. During this time I worked within a design studio which specialised in licensed characters, was involved with an artist’s co-operative. From 2000 – 2006 I was based in ‘Banks Mill Studio’s Derby and I worked for an artist’s agency who have sold my illustrations all over the world. Over the last 12 years I have been producing environmentally friendly arts and crafts, which led me to do workshops based on this ethos, setting up a company called ‘Junky Monkey’. Throughout this time I have run many workshops and taught in adult education. This need to combine nature and art inspired me to produce my own work in willow. Now I am forging my career as a Willow artist and sculptor and I love it! Willow sculptures are a great way to enhance your environment. They can look magical, creepy, quirky, cute and fun! They are great for both outdoor spaces, such as gardens, woods and parks and indoor spaces, such as hallways, conservatories and even whole rooms! 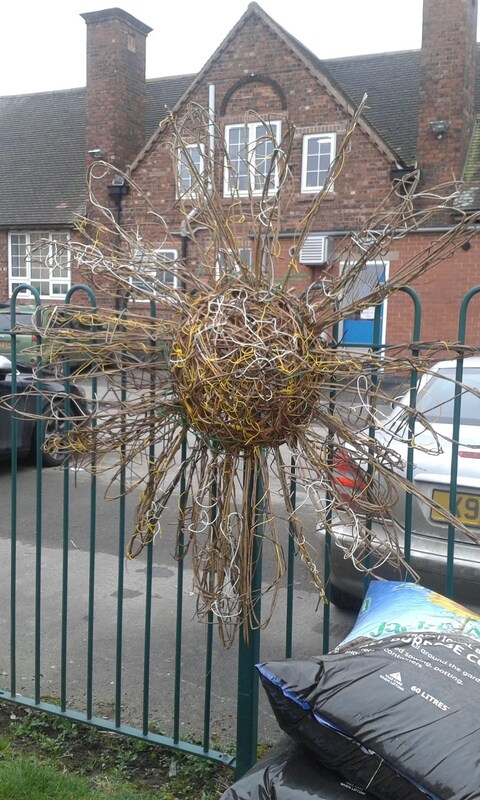 Willow sculptures can be used for theatre, television and film sets, or a fun way to decorate festival spaces or illustrate a story. They look especially great in green spaces, hung in trees and peeping out of woodland foliage. They are made from natural material and will eventually bio-degrade outside, but on the plus side you can re commission new pieces or enjoy the fact that they have very little carbon footprint! However they can be preserved and cared for to make them last longer and indoors they last for many years. 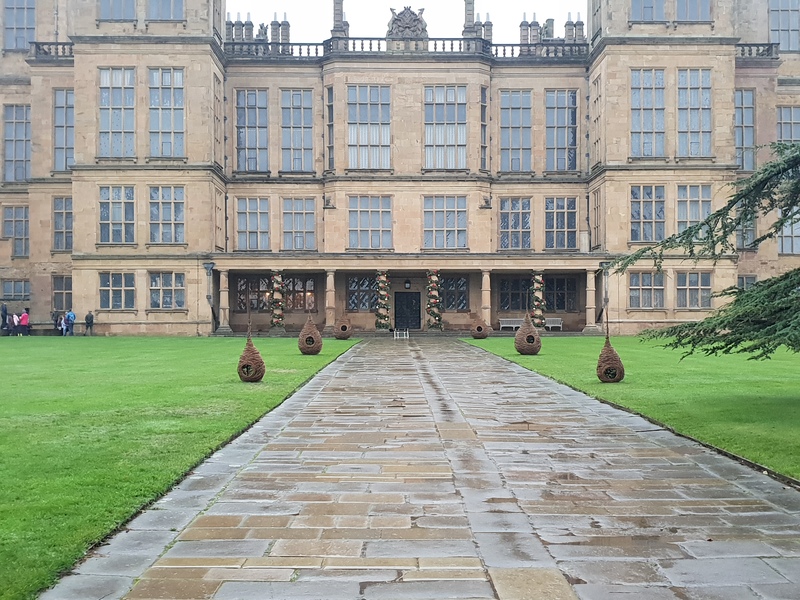 Emma has made pieces for both private clients and organisations such as the National Trust and Derbyshire County Council. You can commission Emma to make your own unique sculpture. She can make pieces that suit your requirements and brief. They can be life size or really big. Emma has worked on Pets, book characters, woodland creatures and many more unique characters. See the Gallery to view more. Just contact Emma for an informal discussion, with no obligation, about what you would like. Either by email, phone or social media. Creating the sculptures can take a while depending on the scale and detail of the pieces, so it is a good idea to give lots of notice when placing a commission. She will do her best to make the piece as quickly and carefully as possible to suit your requirements. Some larger pieces will require a deposit. Emma is available to run workshops, talks, taster sessions and demonstrations in willow weaving. She can work in many different settings including schools, community groups, allotment and garden groups, to name but a few. Emma will work with you to come up with a project that fits your requirements and budget. The workshops can be created so the theme is in keeping with the curriculum or any subject that you require. It is great for arts weeks or a community event. Emma has lots of experience in with working with all ages and abilities and is able to work with both small and large groups. However it is recommended that children are at least age 7 to get the most out of using willow. She is patient and caring in her approach and comes up with great ideas. These are dependent on many factors and will vary according to your requirements. If you want more details please contact Emma for a quote. 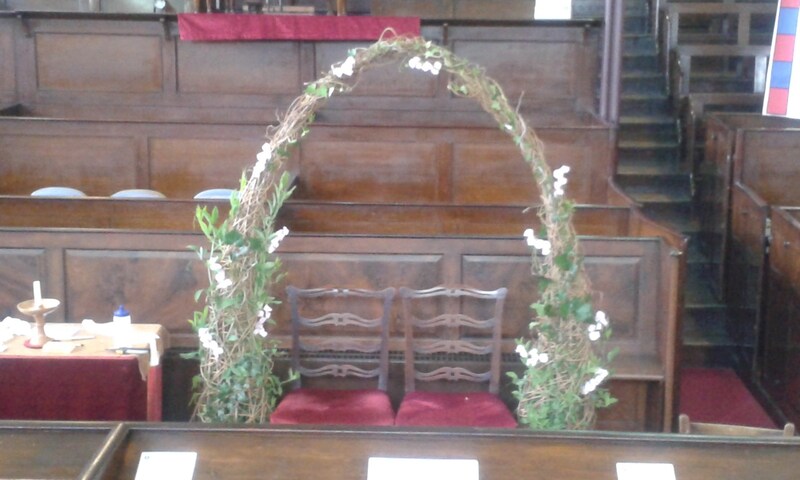 Willow weaving is a great way to decorate your special occasion. You can commission Emma to make bespoke items to make your day really unique. Why not look through the gallery of images for ideas. Examples are willow arbores, hearts, letters and words. It is a great way to help make your day more Eco too! It is possible to hire some of the items if you are local to the East Midlands. For more info on this and buying items just get in touch. Why not come to Emma’s studio in Cromford, Derbyshire, or a venue of your choice, for your Hen or stag do and make your ‘own’ willow decorations. You can have your own workshop with your friends and family where you produce willow table decs and items suitable for your wedding. In a day you can make hearts and rings of different sizes that can be hung up and put on tables. To discuss this idea just get in touch.